Is their love strong enough to break free from their painful pasts? College student Jack McAllister drowns his guilt with booze and bar fights. But no amount of hard drinking will ever change the fact that his parents are dead and his older brother sacrificed everything to give him a better future. When he sees a beautiful dance student getting shoved around, he finally finds something worth fighting for. Giselle Stratford is tired of living in the shadow of her dead brother. Nothing she does is ever good enough for her demanding mother, including her decision to attend a small Texas college. So when a handsome country boy stands up to her abusive dance partner, she knows she’s found someone who loves her exactly the way she is. But after a once-in-a-lifetime opportunity opens up back home, Giselle's mother will stop at nothing to sabotage their relationship—even if it means bankrupting her new boyfriend’s tight-knit, cash-strapped family. When the world threatens to rip them apart, Giselle and Jack must find the courage to confront their past traumas to create a bright new future together. 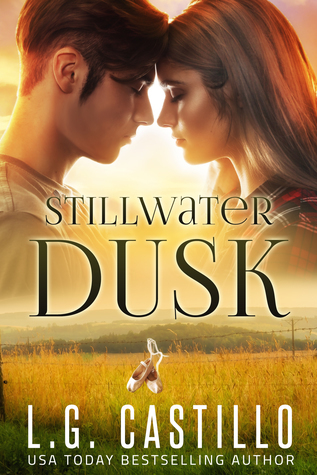 Stillwater Dusk is the first standalone novel in a heartwarming romance series. If you like boundary-breaking love stories, contemporary cowboys, and journeys of self-healing, then you’ll love L.G. Castillo’s romantic family saga. A new book from author L.G. Castillo always brings a smile to my face. I love her writing style and how easily I can relate to her characters. Every single reading escape from this author has left me with a heart bursting with love. I was over the moon excited to meet these new characters in Stillwater Dusk. Get ready to meet the McAllister Brothers!! In this book, we follow Giselle Stratford and Jack McAllister. One tragic night changed the entire destiny of the McAllister Brothers. Giselle Stratford enters Jack McAllister's life in the most unexpected moment. The sweet ballerina he meets is like a soothing balm to his soul. As days go by, they get to know each other and their bond grows. Their journey has many ups and downs, but their love story is stronger than any obstacle coming their way. I really loved Giselle and Jack's sweet love story. It gave me all the feels. I have read many stories about rich girl/poor boy falling in love and no matter how many times authors will write about it, I always find a way to connect with each story. I loved how they each opened up about their life and how together they found their happy place. Stillwater Dusk was a captivating reading escape filled with many fascinating characters. The McAllister Brothers and all the supporting cast in this book stole a piece of my heart. I love how strong this family is. G-Daddy always brought a smile to my face and I love him to pieces!! This was an amazing reading escape and I can't wait for more! I give, Stillwater Dusk, by L.G. Castillo, 4.5 sweet, captivating, love will conquer all stars! 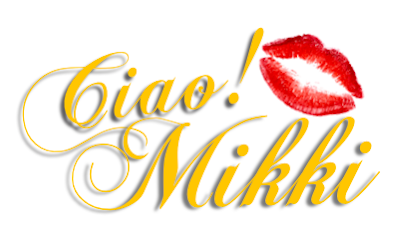 Known for her action-packed paranormal romance, USA Today Bestselling Author L.G. Castillo writes books that explore the tumultuous and psychological journey of self-discovery and falling in love. Her stories feature dramatic, life-changing events interspersed with a good dose of humor, feisty heroines, and the swoon-worthy men who love them. When she's not writing, L.G. is binging on Netflix or adding up frequent flyer miles for her next vacation. She's been married to her own swoon-worthy hero for over two decades.